Batwoman returns in this wave of Vinimates vinyl figures based on the DC Comics universe! 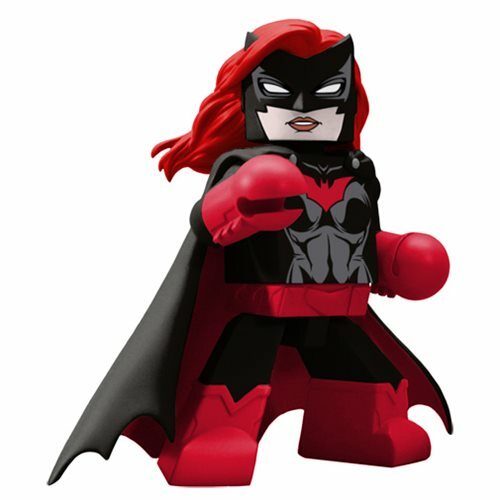 Wearing her red and black costume, Batwoman stands about 4-inches tall and is sculpted in the block-figure style, striking a pose inspired by the comics. The DC Comics Batwoman Vinimate Vinyl Figure comes packaged in a full-color window box. Walking Dead Daryl Dixon with Bowling Ball Figure with Mag.